A cross strap breast plate. This cross strap breast plate would have been worn on an adjustable leather shoulder strap to carry a Militiaman’s bayonet and leather scabbard. 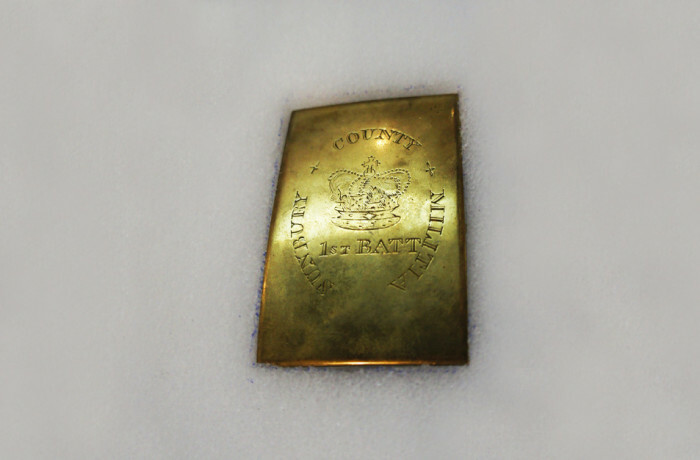 This particular cross strap breast plate was issued to the Sunbury County Militia, circa 1830. On loan from the York Sunbury Museum.